For every musical life cycle, artists who were once known for leading trends eventually succumb to following them. Recently, that's what Damon Albarn experienced with the Gorillaz and their rueful Humanz, an overindulgent political Dance record that revoked thematic coherency in favor of watered-down cross functionality. Hits came and went - as to be expected with nearly two dozen tracks - but the predominant message from fans rang true: Too many features, too few Gorillaz. With The Now Now, a sprightly follow-up in the vein of 2010's The Fall, Albarn recognizes his fans' fading enthusiasm by counterbalancing Humanz' assisted excess with faithful frugality. Unfortunately, two wrongs don't make a right. 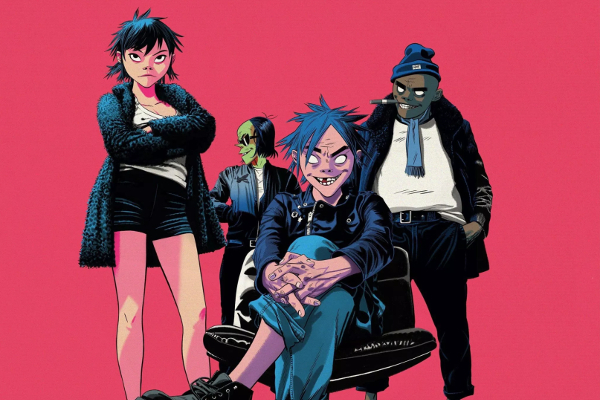 Like numerous albums this year, including Death Grips' Year Of The Snitch and Chvrches' Love Is Dead, the Gorillaz pampered listeners with a bevy of pre-album singles. Apart from abating anticipation, four of the five singles (excluding 'Humility') also failed to entertain and satisfy. Expectations were at a minimum, with tracks like 'Fire Flies' and 'Lake Zurich' boring through meditative synth garble, and others like 'Hollywood' slogging with indecent principles by clumsy and aged stars. Along with 'Sorcererz,' they casually represent the worst Now Now has to offer. This, a satisfying yet dispirited factoid as the apathetic first listen quickly turned heel with early album peaks 'Tranz' and 'Kansas,' despite being unable to ignore the weak Dance grooves of 'Sorcererz' or the filthy lecturing of Jamie Principle on 'Hollywood.' However, the point remains that when The Now Now's firing on all cylinders, comparisons are more likely drawn to the tropical wasteland of Plastic Beach than Humanz' mucky sweat-fest. On 'Kansas,' Albarn fastens himself through quirky dejection similar to 'On Melancholy Hill' or 'Cloud Of Unknowing,' whereas the bubbly harmony of 'Idaho' - in combination with its stray atmospherics - bears resemblance to 'Empire Ants' sans Little Dragon takeover. Each and every deep cut is a success, which is about as startling a realization as Gorillaz releasing four insipid singles to begin with. The one exception is 'One Percent,' a trivial two-minute interlude of sorts that further perpetuates The Now Now's acoustic-driven summery vibes. Harmless in execution, something that can't be said for its magnificent follow-up 'Souk Eye.' The balmy aura glows through fluttering synths, lightly-strummed guitars, and quaint background vocals, all used in correlating the love Albarn has for temperamental Los Angeles. His romantics don't always shine on The Now Now, but when they do it's due to the gentle production. Generally speaking, the low lights fall on the side of wasted energy - like 'Lake Zurich' and 'Hollywood' - that aim to represent a lackluster, neon-lit nightlife for plebeian sightseers, whereas the highs look inwards to match Albarn's tolerable scorn with proper melodies. However, all those examples, like 'Kansas' and 'Idaho,' tend to be complacent in their initiative, something Humanz didn't suffer from. That's not the case with 'Souk Eye' however, which is why it rises above the crop. Like 'Empire Ants' or 'Rhinestone Eyes,' 'Souk Eye's' humbling origins evolve into a farce guided by genuine synth adoration. An excellent closer. 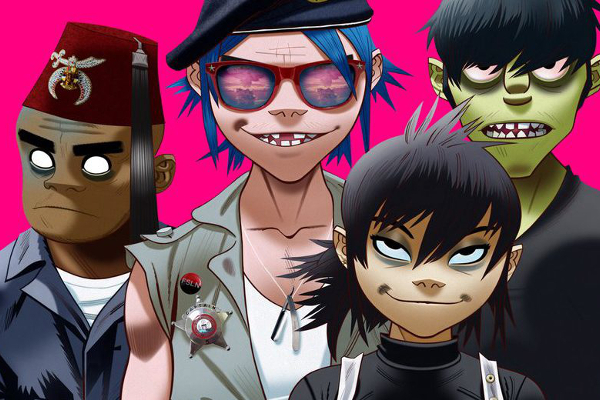 Despite their significant differences, The Now Now and Humanz hold one thing in common; An inconsistent product. Yes, Albarn's latest effort significantly cuts back on the features, the haphazard political commentary, and the exaggerated Dance endeavors, but by swinging the pendulum so heavily in the opposite direction he also loses that trademark Gorillaz camaraderie and unconventional theming. Undoubtedly, there's enough feel good vibes bouncing through tracks like 'Humility,' 'Tranz,' and 'Souk Eye' to warrant place in the summer rotation, but with outright misses a near-constant, The Now Now's place may be short-lived. Fitting given its name.